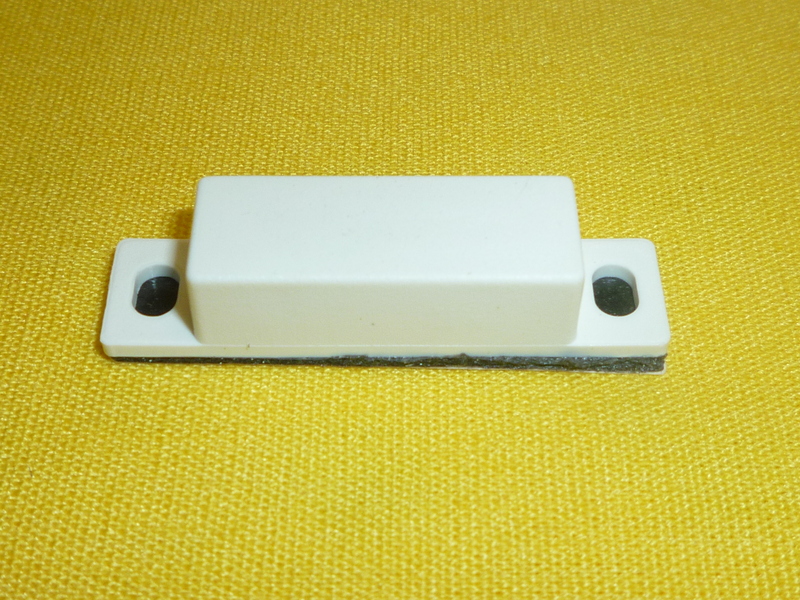 3/8 x 5/8 stubby Recessed Alnico available pressed into a White, Brown, or Gray housing or a Bare magnet without a housing. 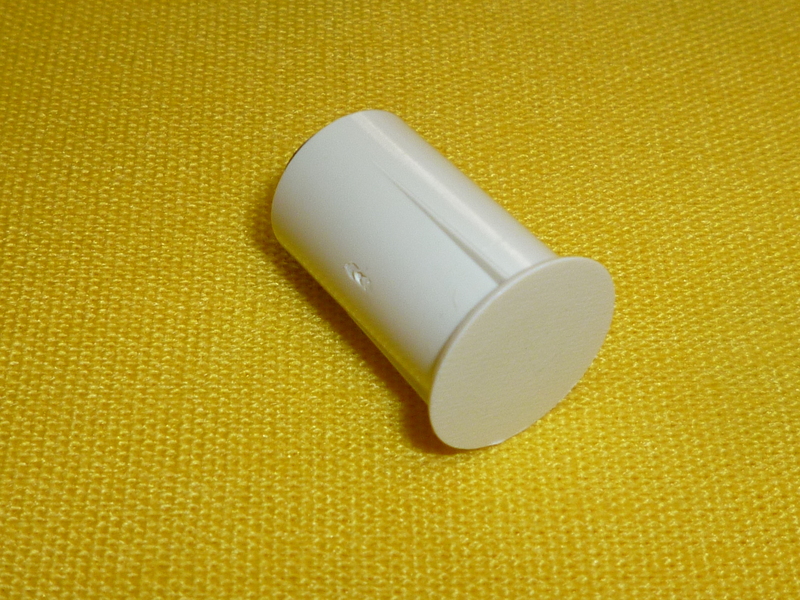 3/8 x 5/16 x 1.5” casing holds a ¼ x ¾ Neodymium Wide Gap Magnet, Casing has a peel and stick backing and screw tabs. Available in White, Brown or Gray. 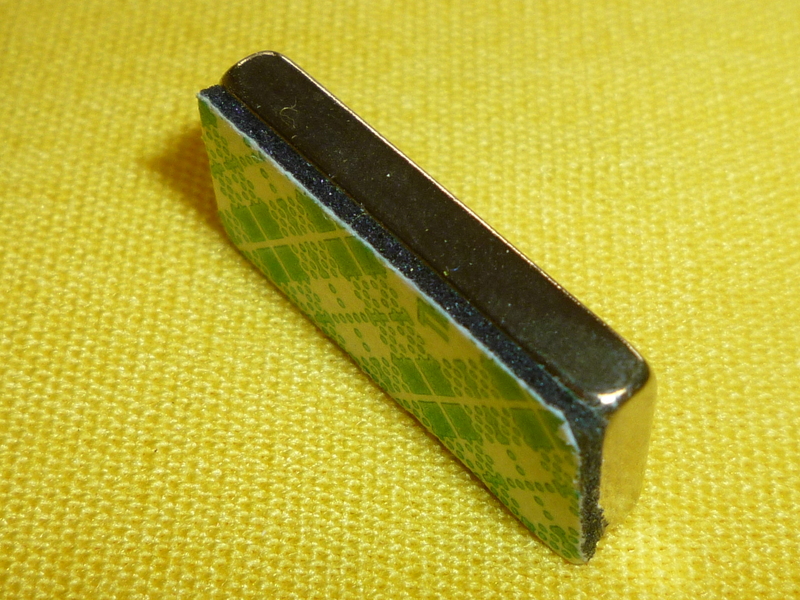 Rare Earth Magnet Flat in the case with a peel and stick backing available in White or Brown casing or Bare.